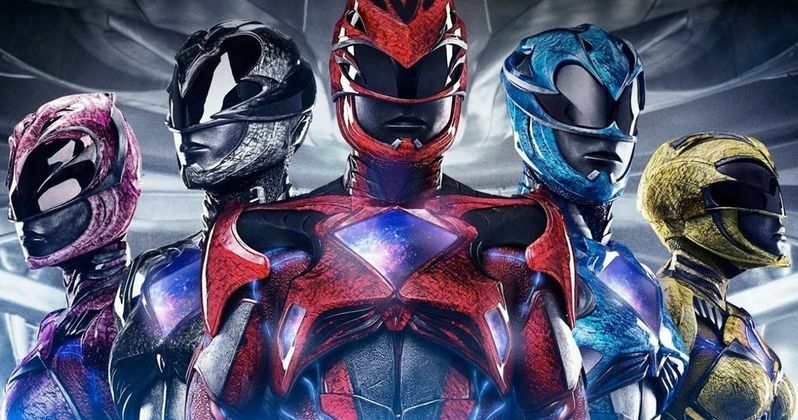 A new Power Rangers movie is coming our way in the future, but it's seeming less and less likely that it's going to be connected to the 2017 big screen adventure released by Lionsgate. We heard previously from Hasbro, who purchased the franchise last year, that the plan was to make a new movie. But without knowing what studio it was set up at, it was hard to know if it would be a reboot or a continuation. Now, thanks to some new key info, a reboot seems far more plausible. According to a new report, Hasbro CEO Brian Goldner revealed during a recent financial call that the company is in talks with Paramount for a new run at Power Rangers. No further details were revealed, but this is a move that makes sense for a variety of reasons. Paramount already works with Hasbro on the very successful Transformers franchise and they have even set up their own studio, Allspark Pictures, to handle development of future franchises based on their brands. So far, Paramount has been their home base and it doesn't appear as though they're interested in changing that. After all, if it ain't broke. Since Lionsgate released the previous Power Rangers movie in 2017, it wouldn't make sense to try and continue that version of the franchise at a rival studio. Not to mention that the previous take was far from a success. The Dean Israelite-directed movie grossed just $142 million worldwide, working from a steep $100 million budget. To boot, the big screen adaptation of the popular and long-running TV series sits at just a 44 percent on Rotten Tomatoes. So it can't even be written off as some overlooked gem. Bearing that in mind, there is little reason, from a business perspective, to continue down that same path, despite the fact that a sequel was very clearly set up. Last year, Brian Goldner said that the launch of the upcoming Power Rangers toys from Hasbro would be "setting the stage for an all-new era for this iconic brand." That phrasing also speaks to the idea that they're going to carve their own path. All of this to say, those holding out hope for a sequel need to probably let that go. It's time to move on. The good news, however, is that a new movie is on the way. And looking at what Paramount was able to do with Bumblebee recently, there's reason to believe that they could breathe some new life into the franchise. As it stands, there is no word on when this project could get up and running, nor is there any word on a possible release or who may be tapped to direct. But, given that it seems like very early stages, 2021 seems like the earliest we could possibly expect. We'll be sure to keep you posted as further details are made available. This news was previously reported by Toku Nation.